Besides beer, coffee is the next best beverage for me. I’m not the grind-your-own brew, nor the sip-your-hundred-peso-fancy-coffee type—I like my 3-in-1’s. Sacrilege it may seem, but yes, I like my instant coffee. Well, okay, sometimes, I do indulge with a Venti of Frappucino at Starbucks, granted that it’s free. I collect Starbucks Icon Mugs and I usually buy them using Starbucks cards, which gets you a free cup of coffee. Cheapskate, I know. During our recent staycation at Crosswinds Tagaytay, it just so happens that I have a couple of cards with free drinks with me. So, on our way home, instead of dropping by the Bulalo Stalls at Mahogany Market like we usually do, we instead went to one of the newer Starbucks Coffee in Tagaytay. 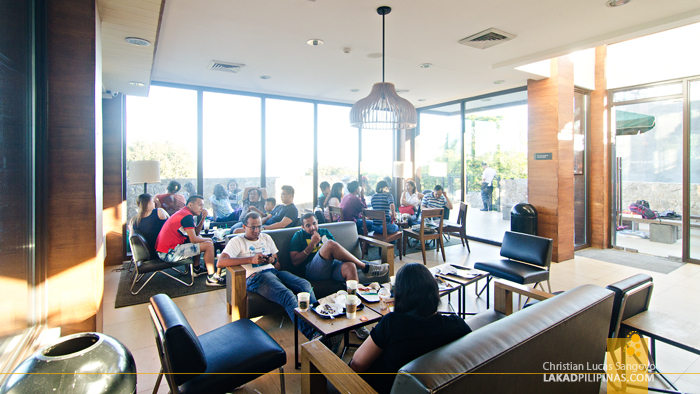 Dubbed as the Starbucks Downhill Tagaytay, it is located on the eastern side of the city, some hundred meters away from Tagaytay Picnic Grove and just right beside the Mediterranean-inspired resort, Estancia Tagaytay. 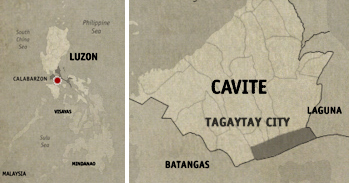 The Starbucks Tagaytay Overlooking in Magallanes has always been my favorite in Tagaytay, but I’m curious about this other branch. 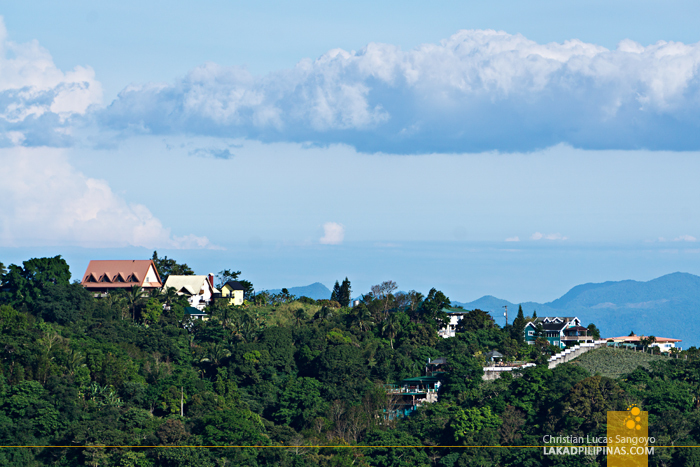 The café is located right on the slopes overlooking Taal Lake [BOOK A TOUR ONLINE]. You actully need to go down a flight of stairs—indeed, it is downhill—before you can actually enter the structure. The facade is typical Starbucks, albeit with a more woody approach. Instead of the usual white and gray concrete finish, the exterior is done in unpainted wood planks. And this reflects even on its airy interiors. In between generous servings of glass windows, a bit of creamy marble, and plain white walls, are natural-colored wood. 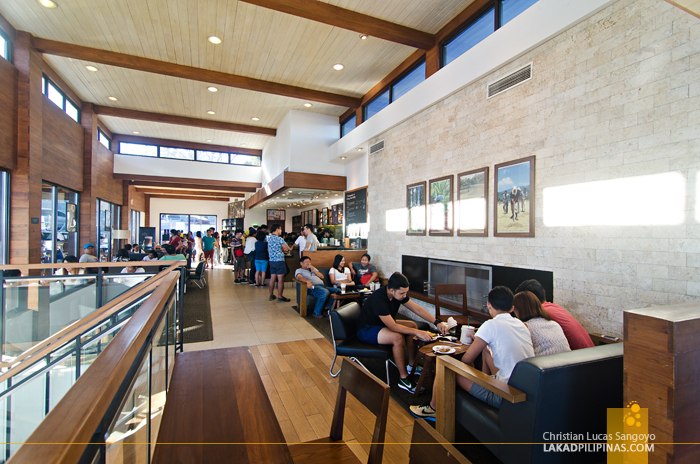 It is quite pleasant both to the eyes and the senses, complementing the café’s high-ceiling design. 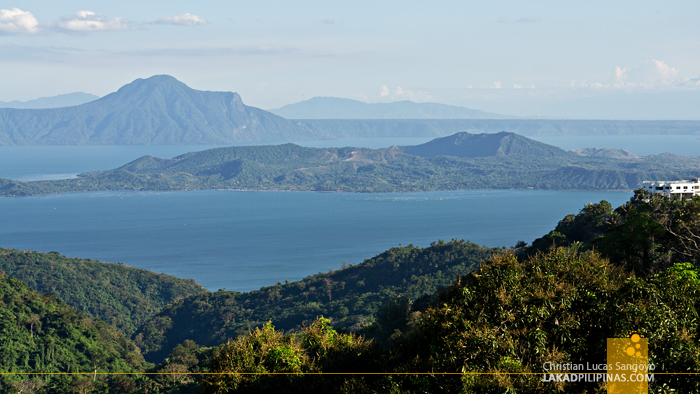 The main floor has two al fresco area, one facing the lake which is almost always full since it has the best view Taal, and another one off its side, which has a grand view of the parking lot, lol. 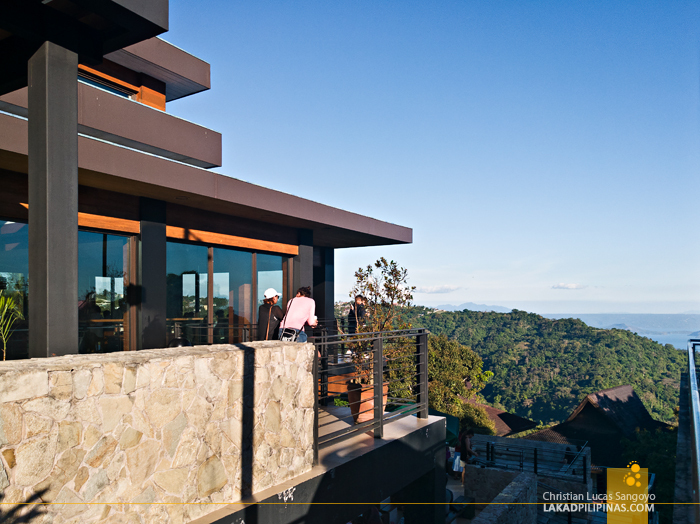 The lower level is also spacious, but the most of the tables are set inside, with a few outdoor ones looking over the treetops of Tagaytay. You really can’t see the lake from here since it’s a tad too low. 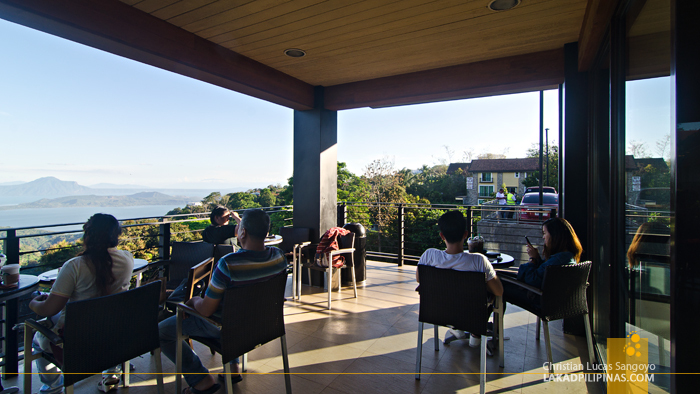 It has, however, a deck extending towards the lake, but there are no tables there to leisurely sip your coffee on. Luckily, we were able to chance upon a free seat on the balcony of the main floor, which was quite a miracle since we went on a weekend. After settling down, I whipped my Starbucks cards from my pocket and immediately ordered my favorite Dark Mocha Frappucino, minus one pump of sugar and sans the whipped cream. Starbucks coffee for now, back to instant 3-in-1 coffee tomorrow.